Doug Jacobs has been a member of the U.S. World Team nine times. In 1985 he was World Champion in the 15-Meter class at Rieti, Italy flying an LS-6, winning by the largest margin in many years. He flew the 15-Meter class four more times placing third in both Australia in 1987 and Uvalde in 1991. He flew the Standard class three times placing sixth in Sweden in 2006. His most recent world competition was in Open class in Germany in 2008. He also enjoys flying National competitions - particularly in the 15-Meter class. Flying this class, he led a field of 62 at the 1992 contest in Elmira and 69 in the 1984 Ephrata contest. He won that class three more times -- in 1988, 1990 and 1995. He also enjoys Standard class, winning in 1994, 1998 and 2003. He tried the 18-Meter class and won in 2013 and 2014. He also has won three Seniors and one Sports as of this writing. The picture above was taken at a stop during the "Return to Kitty Hawk" coast to coast race across the country in 2003 celebrating the 100th anniversary of the Wright Brothers' first powered airplane flight. Doug placed first in the 15-Meter class but it was possibly a bigger thrill to land on the hallowed ground where the Wrights first flew - a rare privilege. Doug competed in the the Hitachi Masters of Soaring three times, winning in 1986. He was a participant in the 1985 Takikawa Masters of Soaring in Japan and a Bronze Medalist in the 1998 Samedan Jubilee Competition in Switzerland. We suspect Doug would enjoy competition soaring wherever it was but here is what he said about the Montague area: "So, if you prefer the routine of consistent flatland flying, maybe this place isn't for you. But if mountain vistas, challenging terrain, complex weather, great soaring, and beautiful surroundings attract you, mark your calendars well in advance for the next Montague contest - you'll be glad you did." Doug is known as a family man. One day back in 1973, he and his wife Martha were enjoying a day outside in the tall grass on a lazy summer afternoon. He looked up and saw a silent, graceful aircraft circling above the Berkshires in Western, Massachusetts. Doug immediately turned to Martha and said, "I've got to try that!" 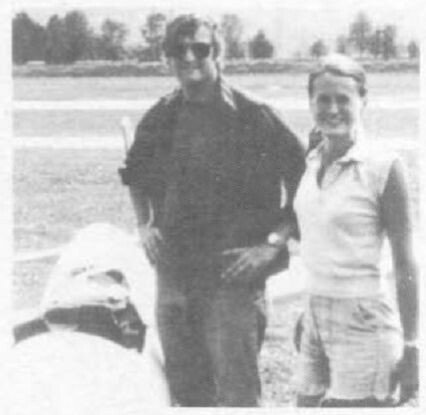 He had his first opportunity to handle the controls in any aircraft when, a few days later, he went to the local gliderport and flew a sailplane. Now he knew - he had to learn to soar. Two months later he took a week-long vacation at North Adams, MA and flew every day. He soloed on the third day and completed minimum requirements for a Private Pilot license by the fifth day. He progressed from the 2-33 to the 1-26 and then purchased his own sailplane, a Libelle 201B. As "they" say - the rest is history. He likes to do other things too - he snow skis in the winter, played bass guitar for a rock band while in college. Now he has an acoustic guitar. Doug also likes to write and he is good at it. He won the Lincoln Award for writing in 1987 - "Benediction" appearing in Soaring magazine, March 1987. This prestigious award was established in memory of Joseph C. Lincoln whose writing inspired beginning pilots and attracted others to the sport. 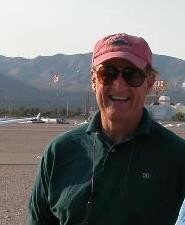 Doug has written at least twelve feature articles for Soaring about contests and sailplanes. 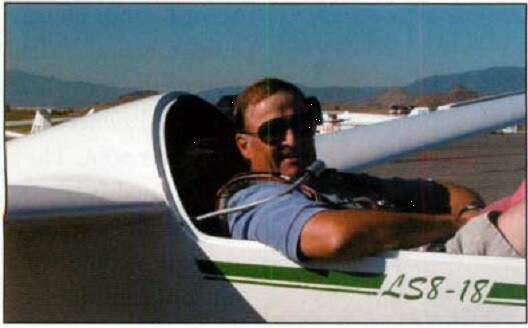 He is a frequent speaker at soaring club events and SSA Conventions. He has served the national organization (SSA) as Vice President and Treasurer as well as a Trustee of the SSA Foundation. In those capacities he arranged corporate sponsorship for the U.S. World Team. In addition to the above mentioned accomplishments, Doug Jacobs earned the FAI Challenge Cup in 1985, was awarded the SSA Exceptional Service Award in 2004, 2007 and 2011 and the SSA Exceptional Achievement Award in 1985. He won the Schreder 15-Meter Trophy in 1982, 1984, 1988, 1990, 1995; the Barron Hilton Cup in 1985; the Giltner Trophy in 1987 and 1992; the Hatcher Trophy in 1994, 1995, 1998, 2003 and 2014; the Kubly Standard Class Trophy in 1994, 1996, 2003, 2005; the Standard Class Trophy in 1994, 1998, 2003; the Gomez Trophy in 1995; the Combs Trophy in 2000; the Senior Championship Award in 2004, 2006 and 2012; the Lattimore Sports Class Trophy in 2012 and the Spratt Award in 2013 and 2014. He earned Silver #3585 in 1978, Gold #1280 in 1979 and Diamond #478 (Intl #2946) in 1980.